Merry Christmas Eve to all who celebrate! 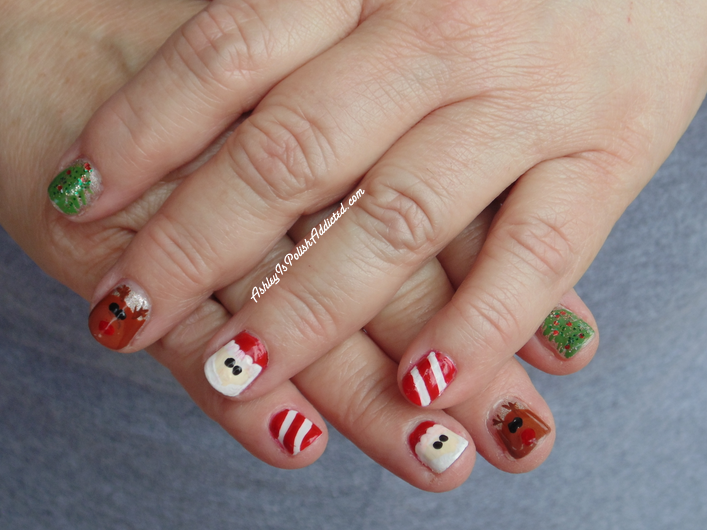 I just have a quick post to show you the Christmas nail art I did on my mom last night. 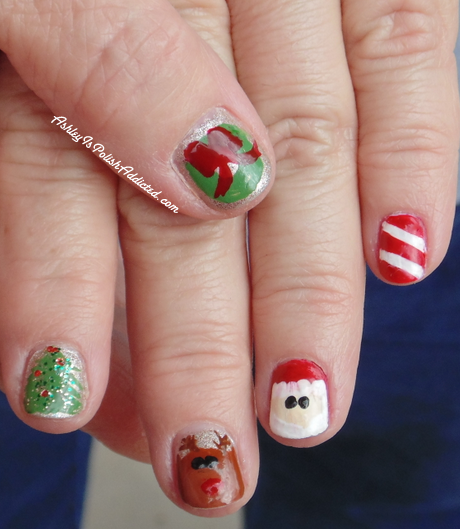 I haven't done my Christmas mani yet, I'm hoping to do something later tonight though! In the meantime, I thought I'd share this one with you. I think it turned out really fun! I wanted to make a fun Christmas skittle so I included Santa, Rudolph, a candy cane, a Christmas tree and a wreath! All of the designs were created using acrylic paint. There were a few details I still needed to add but it was very late so I left them to finish the next day. I still think they turned out pretty cute! I hope all of you who celebrate have a wonderful Christmas filled with love!